The statistic shows a comparison of the results of a survey among Americans in 2011 and in 2013 on the reaons for mass shootings. They were asked how much they think violence in movies, video games, and music lyrics is responsible for these shootings. 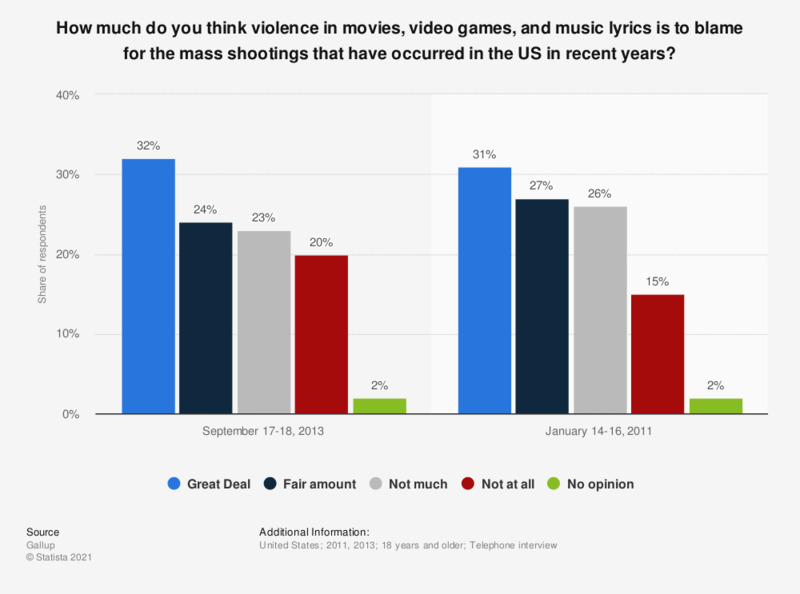 In January 2011, 31 percent of respondents said violence in movies, video games, and music lyrics was to blame a "great deal" for these shootings. In 2013, 32 percent of respondents said the same. How confident are you in the ability of these rating systems to prevent children from being exposed to inappropriate content? How often does your child play console games?